Stage 1) Templates and their uses. Wooden template used at jcsmi. I use a sheet of plastic to make my templates from. The plastic template has a variety of uses. 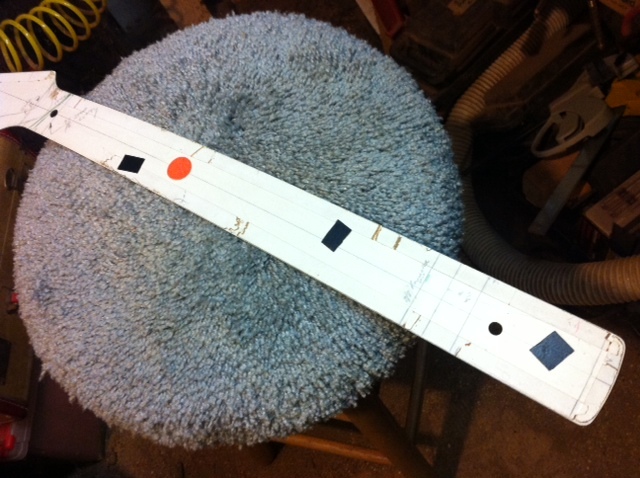 First and foremost, it is used to layout the patters on larger pieces of wood stock. Trace out the pattern in the best way to minimize your waste. The wooden one is made out of maple, I find this wood to be stable. It is .750″ thick. The wooden one is used to fasten the actual neck blank to. I use the wooden template as a guide while creating the profile. If you have any questions, please email me at jcsmusicalinstruments@yahoo.com and I will see if I can help with your issues or simply just ask in the comments section. My goal was to break down the building process into simple steps that I could tackle one at a time. That task became far less daunting when broken down into these smaller steps. The further I got into the process, the more I realized that the guitar necks were the most interesting part of the guitar project. 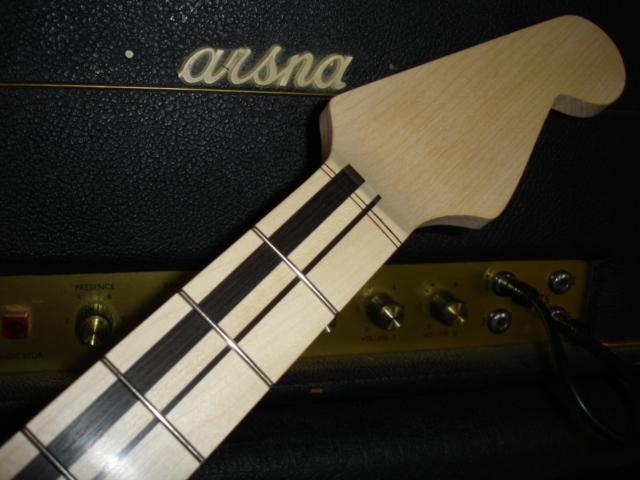 Battling the internal stresses in the wood, glue joint, humidity, string tension, temperature and truss rod behavior, made a neck build very challenging to say the least. The neck is designed to react to its physical surrounding in the way that you engineer it too. 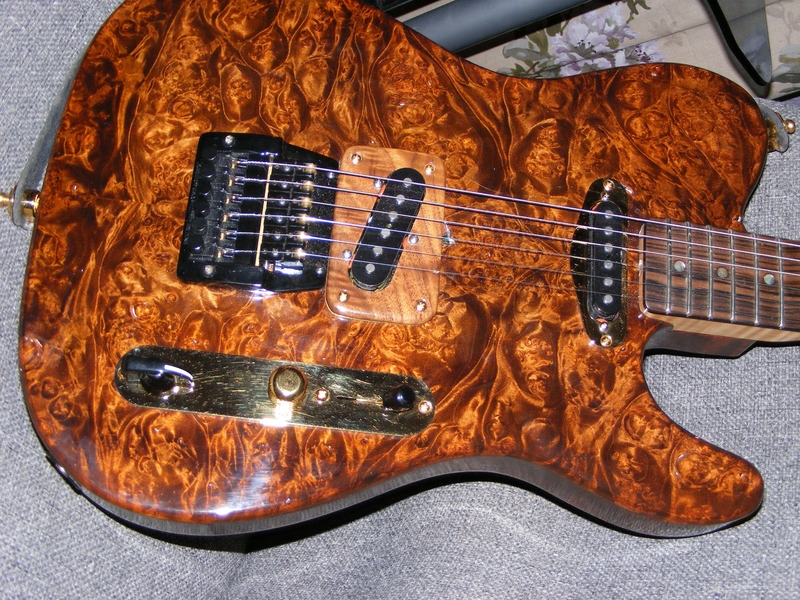 If designed and built correctly, and with a little luck in your selection of materials, truss rod, glued or non-glued fret wire, finishing and type of tuners, your neck should respond properly for years to come. All contribute to the tone, accuracy and stability of the neck. The importance of keeping notes. I’ve kept notes for years on the building process. It is nice to look back on the journal every now and then to add or remove old or outdated procedures. It is inevitable that over time, you will find new and improved ways of achieving the same results. This can be okay as long as you are maintaining the integrity of the build process. It is easy to forget from time to time what worked in the past and what didn’t. It is easy to neglect writing the procedure notes, but believe me, you may find yourself repeating the same mistakes again and again overtime. So it is important in my opinion, to try and keep track of your work procedures. 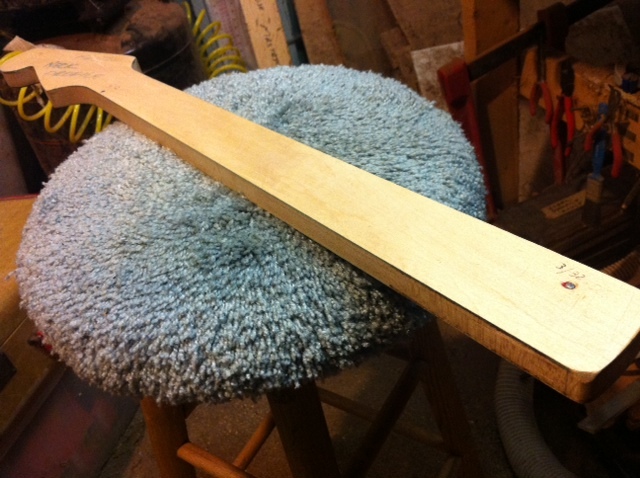 Introduction to building necks at JSC Musical Instruments. 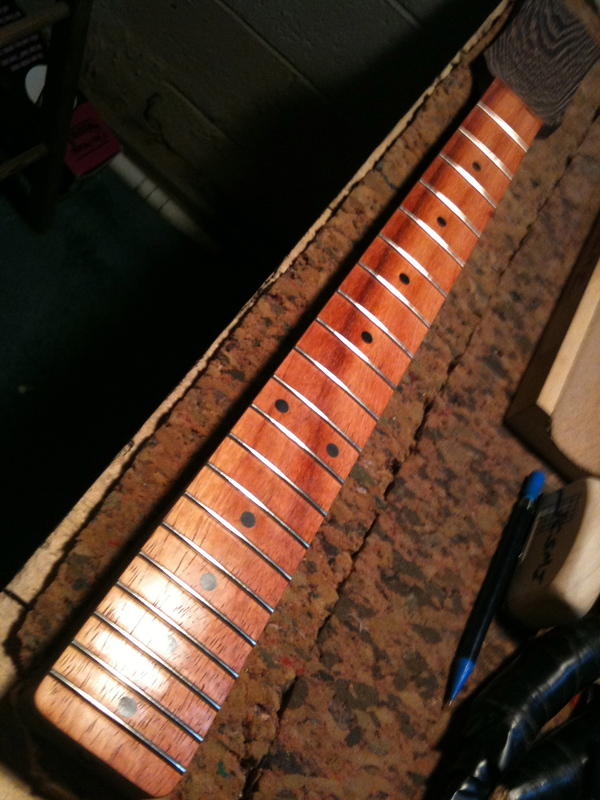 Thank you for following me on this neck build project. 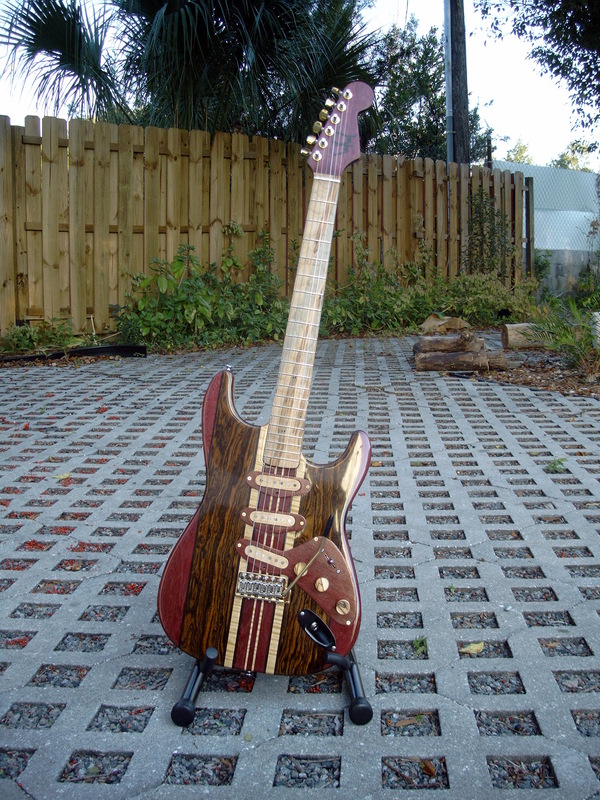 It is my goal to disclose the the process of building guitars at JCSMI as safely as I can. I do not encourage the use of dangerous shop equipment and believe only experienced and cautious individuals should be handling any dangerous machines. Your life and limbs are far more important than creating your dream guitar. Be sure to equip your shop and or replace expired first aid kits and fire extinguishers. If your shop has any source for potential carbon monoxide, a carbon monoxide detector is also a wise investment. If there are more than one working in the shop or house, you may also consider an A.E.D. Having one will increases the chance for surviving a heart attach. 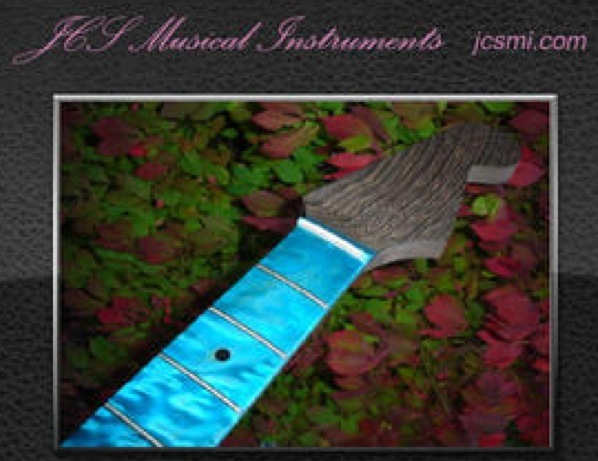 JCS Musical Instruments CALENDAR now available for 2012.